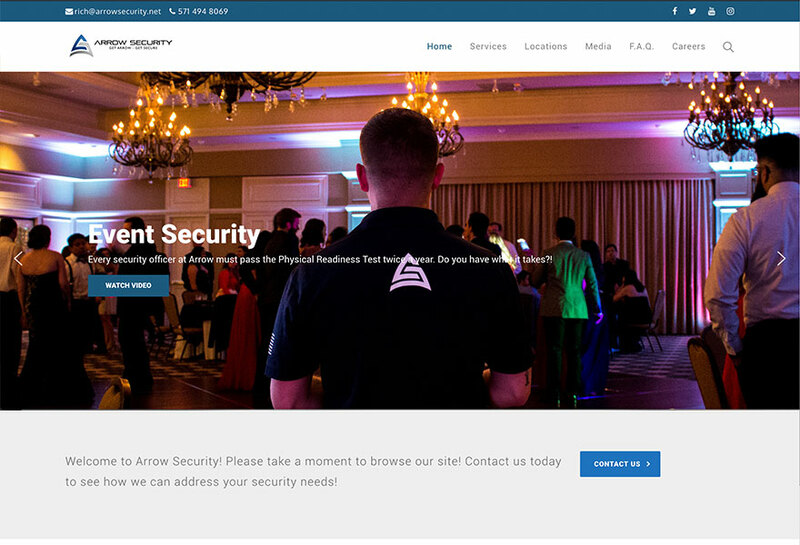 Bringing personalized security to you across the state of Virginia. 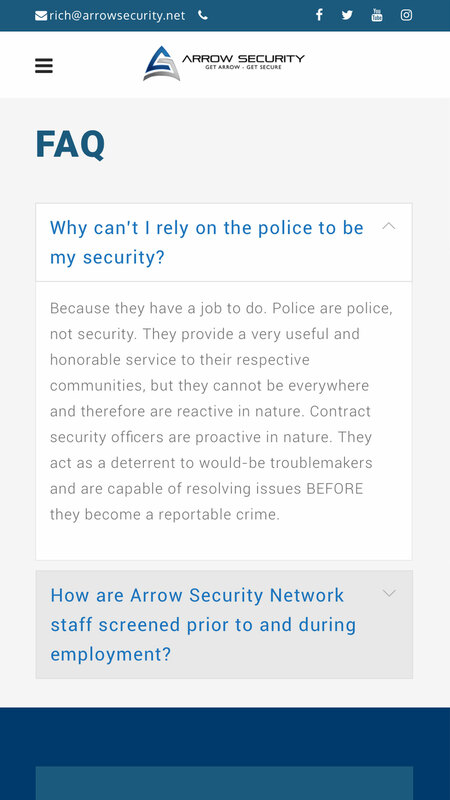 Arrow Security has been delivering successful security solutions to our clients for over 25 years. In that time, we have partnered with some of the country’s most reputable and renowned companies, including Pathmark, Regal Cinemas, Atria Senior Living Group and Memorial Sloan Kettering. 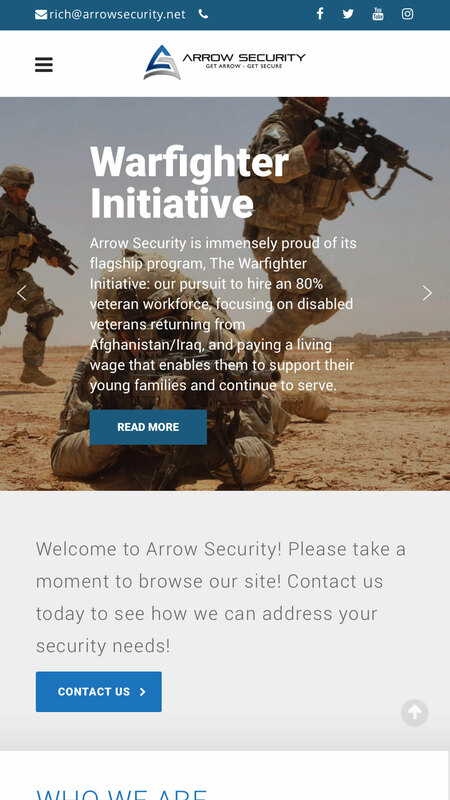 Arrow Security was in need of updating their website to be more mobile friendly and have a fresh approach for 2018. 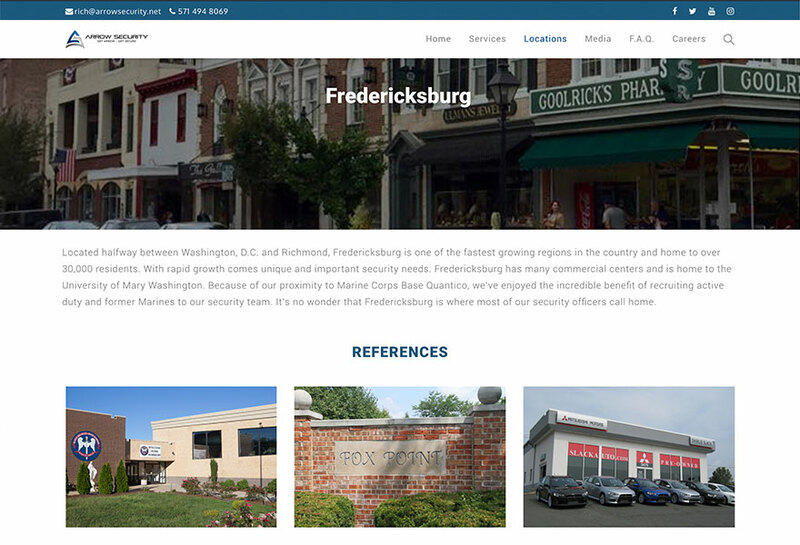 The outdated site had a lack of ability to view on mobile and wasn’t modernizing the brand. 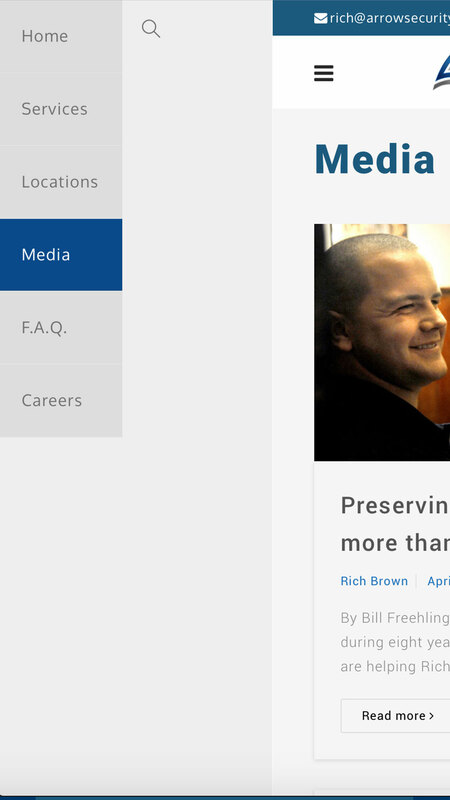 They needed a new WordPress theme to not only expand the new site for more content, but the ability to use the site more frequently. 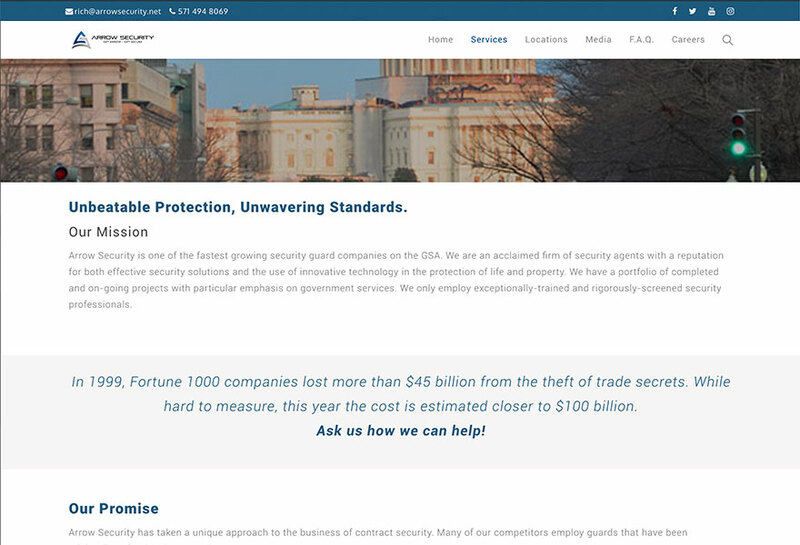 How Vanguard was able to help was by finding a new WordPress theme that gave a good overall functionality a mobile improvement. We were also able to choose new typefaces to keep the same stern aesthetic which is both modern and simplistic. WordPress training was provided to help the client understand how to utilize their new theme.